Meet AVANI, the next brand in our introduction series. AVANI is the perfect combination of timeless design and ecology, offering stylish, refined quality fashion pieces that are must-have in your wardrobe. We are very exited that AVANI joins us as a brand this year! 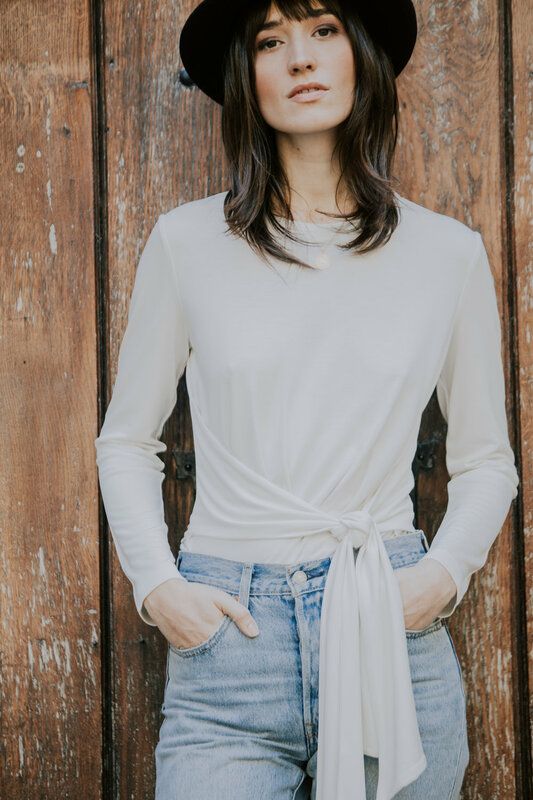 As usual in our series, we asked Delphine, the founder of AVANI a few questions, to get to know the brand better and the idea behind it. What is your understanding of fashion? Why does the world need your products? What was your idea behind the creation of your brand/products? With the rise of fast fashion, the fashion industry has become is the second most polluting industry in the world. We are facing a social and environmental disaster and we must now change the rules of the game. I wanted to create a brand with minimal ecological footprint and full traceability and transparency because today, too many brands are using ecology as a marketing argument. It is simply green washing. For us, fashion is above all an expression of your personality and every woman deserves to wear clothes that celebrate their femininity without the need to choose between design and ecology. That's why we created a brand that combines style and sharp design while putting ecology and ethics at the heart of each step in our creation and production process. We have control on the whole value chain, from the raw material (e.g. culture of linen) to the final good because we are working with less intermediaries and we are constantly communicating with our suppliers. With our products you will be well dressed with 100% natural and local fabrics at a fair price and you will know who made your clothes (from the linen fields to the final cloth in your wardrobe). Our creations are must-have that you can wear at any occasion whatever the season. It's good for the planet and good for your health. The manufacturing process is quite simple: I buy the fabrics to resellers who are directly in contacts with the producer in order to minimize intermediaries. From the raw material to the fabric, it is all 100% European. The fabrics are directly sent to the atelier in France near Lyon where the production of all our styles take place. When the production is done, I am in charge of taking it to Switzerland for sale. The creations are all handmade in France by two women with irreproachable know-how in their workshop in Marcollin (near Lyon). In retrospect and for the future: what could be done better and where are AVANI’s strengths?Communication, brand visibility and community building can be done better (but I am not working full time on the project at the moment) and I would say that our strength is that our strong ecological and ethical mind-set allows us to create the very best of ecological clothing (when it comes to ecological footprint) while offering modern, timeless pieces that celebrate every woman's femininity. We accept no compromise between design, ecology and ethics. As the founder of the brand, I love the creation part working on new collections: looking for new ecological fabrics, working on the design with our model maker, etc. What would you like to tackle in the future, but didn’t get to yet? Living to work because working for AVANI is not really work.